The planned three-building complex totaling 1.7 million square feet of work space is, in part, a reaction to demand from shippers looking for services near the Port of Charleston. "We have seen significant growth in this area of the country and customers are even asking us to evaluate opportunities in South Carolina specifically, " said Steve Hess, DHL's vice president of real estate development. "With that in mind, we got ahead of the curve to offer premier facilities in one of the hottest emerging markets in the country," he said. The project will be built in phases, with the first phase expected to open during the first quarter of 2020. DHL has purchased 125 acres on Winding Woods Road off U.S. 78, now known as DHL Commerce Park. Jim Newsome, president and CEO of the State Ports Authority, said the port is "seeing significant distribution center and warehousing activity" due to companies relying on the authority's marine and inland facilities to handle growing import volumes throughout the Southeast. Newsome said DHL "will support the international supply chain needs of multiple port-related business segments." 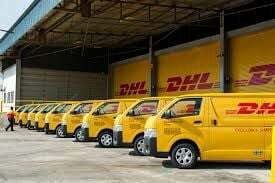 Bonn, Germany-based DHL, a division of Deutsche Post DHL, provides contract logistics services to a number of industry sectors including automotive, consumer, energy, chemicals, engineering and manufacturing. "This $100 million investment ... is a testament to our unique ability to move products around the world," said Bobby Hitt, secretary of the state's Commerce Department. The state's Coordinating Council for Economic Development has approved job development credits for the project and a $1 million grant will be given to Dorchester County to help with infrastructure costs. The project is being built by DHL Real Estate Solutions, an affiliate of DHL and one of the largest logistics center developers.